Founded in 2010 by Erin Mitchell and Randy Czech, we are a wine production company dedicated to making delicious, natural wine in California. We are firm believers in the idea of non-interventionist winemaking and use intuition, pragmatism and a dash of whimsy to bring our wine to your table. We source only organically farmed grapes from Sonoma and Mendocino Counties and bend our own backs in the effort of growing good wine. 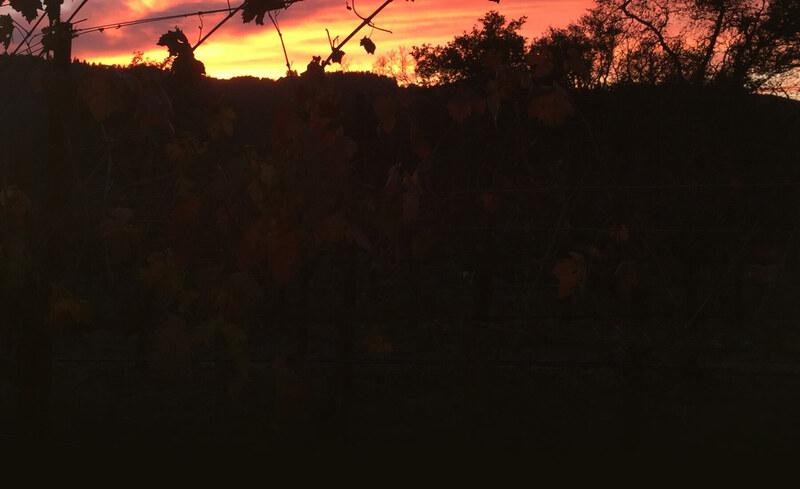 We honor Mother Nature’s intentions and the work of the farmers that go together to make each of the vineyards we buy fruit from unique, and bottle all of our wines as vineyard designates. All our ferments occur naturally, and we rely on taste and experience rather than lab numbers to guide our winemaking. We do no additions or subtractions in the winery other than minimal sulfur as needed. We believe good wine is grown rather than made and see ourselves simply as custodians to the process. Our goal is to make wines that are fun to drink and express the laidback attitude of the North Coast. I came to wine production in 2002 with a Geology degree, 5 years of professional beer brewing experience, and some experimentation in home winemaking under my belt. I learned my Barrel Monkey skills through three vintages of lab and cellar work in Napa Valley wineries and southern-hemisphere vintages in South Africa and New Zealand. | also took few semesters of classwork at Napa Valley College, and eventually found a vineyard-focused job at Flowers Vineyard and Winery on the Sonoma Coast in the summer of 2005. Like some of the producers I had enjoyed working with in Napa, Flowers conducted its production with impressive precision by using conventional farming and modern winemaking techniques. Situated on the lofty ridges of the coast, Flowers’ estate vineyards really brought my love of nature to the surface. Amid that wild abundance, with my feet in the potent soils and my head in the brilliant skies, I began to think about my work with a new perspective. I already had some regard for organic farming and historic winemaking practices, and I began to ask questions. Is the modern level of control really necessary? Is the health of the vineyard soils or the wine drinker at risk? Are the wines actually better? I left Flowers in 2009, committed to practicing only organic farming, and determined to at least experiment with giving up modern winemaking controls. I spent a few years planting and training up a new vineyard near the town of Duncans Mills, and then went on to farming and vineyard work at Failla Wines. During this same time, I reconnected with Erin, who has roots with mine in Denver. She introduced me to a vast array of imported wines, traveled with me to visit growers in distant wine regions, and helped me to gain some understanding of old-world natural wine traditions. Together, we started Unturned Stone in 2010, and I’m happy to say that as of early 2018 it’s been my main job. From the beginning, we’ve sourced only organically-farmed grapes from growers we trust. We now manage some of our own vineyards, and have found success with making wine using only grapes and tiny amounts of sulfur. I got my first job in the wine industry while working in the Gourmet Foods Department of Macy’s in Seattle, WA in 1994. I had recently graduated from art school with a BFA in dance which provided me with a rather limited skill set in the world outside the theater. Since high paying jobs as a post-modern dancer were few and far between, I found myself behind the candy counter at Macy’s. In between doling out single malt balls to the ladies in the cosmetic department and wrapping Godiva truffles for newly minted Microsoft millionaires, I became intrigued by the wall of wine on the other side of the department. I was soon taking home sample bottles, sitting in on tastings with the “wine expert”, a girl far worldlier and more serious than me, and soaking up as much knowledge as I possible could. Wine-tasting came very naturally to me and I loved having a new world to work in and explore. I soon became a “wine expert” and spent the next 15 years working in wine retail as my day job while pursuing a career in dance. An injury forced me to retire from dancing professionally in 2009 and after re-connecting with Randy (indeed, we grew up in the same neighborhood in Denver, Colorado…), I began moving my life down to California. In 2010, I was hired as a sales representative for Farm Wine Imports in San Francisco and quickly became immersed in the Bay Area natural wine scene. Through Farm Wines, I have had the opportunity to travel all over the wine world visiting like-minded wine growers and producers in order to learn and discuss the challenges they face each vintage. When Randy and I made our first wine together in 2010, I had no experience as a winemaker but I had a clear vision of how I wanted to approach the collaboration. Luckily, Randy was in agreement and Unturned Stone hatched in a small barn in Duncan’s Mills with a ton of grapes, a little intuition and a whole lot of love. Randy’s skill as a winemaker and passion for winemaking is truly inspiring. He is now both my business and life partner.